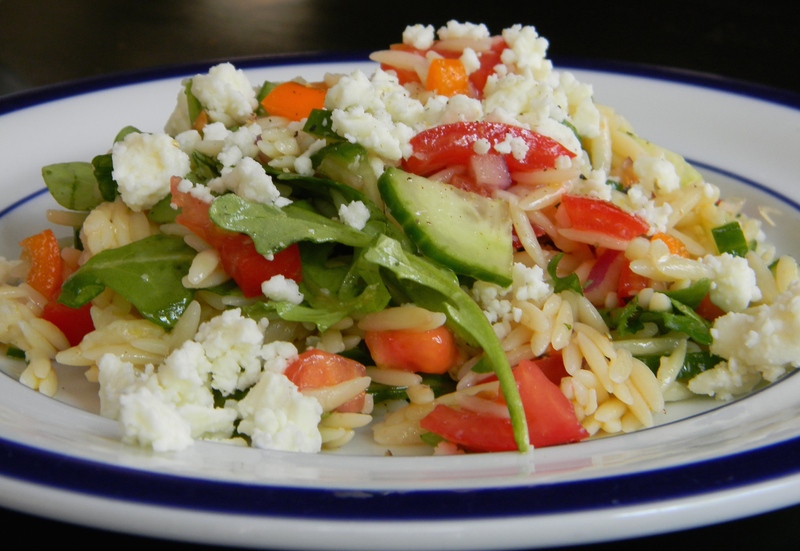 Chicken-Orzo Salad with Goat Cheese (minus the chicken, goat cheese plus feta)- I <3 #CookingLightDiet! The perfect light, late lunch for a sunny, 73 degree day. Delish & nutrish! And lots of green keeping’ it real for St. Patty’s Day.